Can be installed anywhere that takes the H7 fitting: Headlights either main or dipped beams, fog lights etc. Headlight bulb type: H7. Beam pattern: 360°. Colour: White. Colour temperature of between 5500k & 6500k can be achieved. Model: H15 Halogen. 2 X H15 Bulbs. Power: 55w. Light Color: 6000K White. - 6000k super bright, strong penetration, regardless of is the night, fog, ice and snow are the vehicle. Bulb Type: Headlight. H7 T10 H1 100W Ultra White Xenon Upgrade Headlight Beam Set Main DIP Beam. Technology: Helium. Kit includes:2xH1, 2x H7, 2x 501. 2x H7 bulbs. Beam mode: surround lighting. Wedge bulb type: 501 (W5W). 2x 501 bulbs. Can be installed anywhere that takes the H7 fitting: Headlights either main or dipped beams, fog lights etc. Headlight bulb type: H7. Beam pattern: 360°. Important notice: The compatibility chart above is for guidance only. 2PCS H15 LED lights. The quality of light. Enhance the light and deepen the view. Improve safety factor. HID Harness and Relay for H43 Bi-Xenon Kit - Pair. 35W Canbus. 55W Canbus. Super Canbus. Canbus 501 T10 Leds. Canbus Festoon Leds. HID Xenon KitsHID Xenon Kits. Xenon BulbsXenon Bulbs. Light type: H1. 2x LED Headlight Bulbs. LED Quantity: 2/3PCS LED/each bulb. Color temperature: 6500K White. Waterproof Rate: IP68. It's just take you fews seconds. Bulb Size: D2S D2R D2C. Span Life: 3000 hours. We will be very glad to reply you. With overload,short circuit,over temperature protection. Vauxhall Astra J GTC MK6 H10 Super White Xenon Look Bulbs. These are long lasting xenon look bulbs giving your car a new modern car look. These bulbs are a good match to xenon HID lights ideal for main beam fog lights. 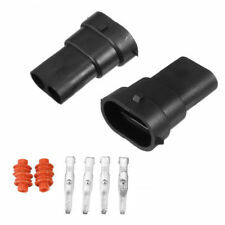 This is a pair of HID bulb adapters/holders for Honda Odyssey, will allow you to install an HID kit in your vehicle's without destroying the original socket. 1 x pair bulb holder. Installation for these adapters are simple. Power: 100W. 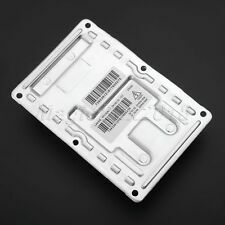 Socket type: H7. Luminous Intensity(approx.). Material: High quality quartz glass tube. Color temperature: 6000K. Color: Silver and Blue. hope you could understand. Weight: 30 10g. Headlight bulb type: H7. Can be installed anywhere that takes the H7 fitting: Headlights either main or dipped beams, fog lights etc. Beam pattern: 360°. Important notice: The compatibility chart above is for guidance only. Known Part Numbers: D1S. Colour: 6000K White. Mostly used for: Headlight (High and Low Bi Xenon). Unique Identifier: HB4. Position: Front Fog Lights. Colour: Clear / Standard. 2PCS H15 LED lights. Color temperature: 6000-6500k. Improve safety factor. The quality of light. Enhance the light and deepen the view. Easy to use. Usage: headlight, fog light. Material: Aluminum. Full Aluminum Body and Fast Cooling, No Ballast or Driver needed. 2 x LED Headlights. light intensity:3500CD. Working efficiency: 98%. Certification: CE, RoHS, LVD. Super white bulbs make your driving more safe. Model: H15. 2 H15 Bulbs. Power: 55W. Replace your existing yellow bulbs for these super bright white bulbs. 4800k super bright, strong penetration, regardless of the night, fog, ice and snow. Vauxhall Corsa Vxr H11 Super White Xenon Look Bulbs. THIS ITEM WILL ONLY FIT CORSA VXR NOT OTHER CORSAS. These are long lasting xenon look bulbs giving your car a new modern car look. 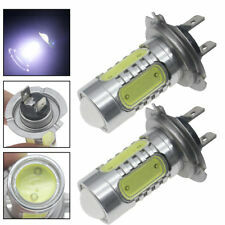 These bulbs are a good match to xenon HID lights ideal for main beam fog lights. 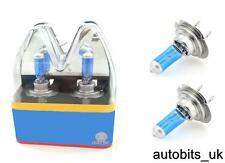 These bulbs are suitable for all cars with H7 35W HID Conversion KIT fitted. Colour Temperature: 12000K. Power: 55W/ 35W. 2 X H3 Xenon HID 35W/55W Bulbs. Bulb Type : H3. Do not install the HID ballasts and igniters near the engine or any place where water can reach the HID components. If you are not satisfied with the product or have any other problems. Bulb Type: H3. -Beam pattern: Surround glow. 2x H3 Bulbs. -Technology: Xenon gas. -Colour: Super white. -Fit:Auto Fog Lights,Car Head Light. -Simply unplug and replace the original bulbs with no wire modification. 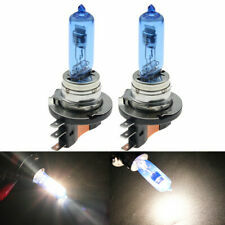 These bulbs are suitable for all cars with H7 35W HID Conversion KIT fitted. Colour Temperature: 6000K. The 6000K will give crystal white colour. 1 Year Warranty.